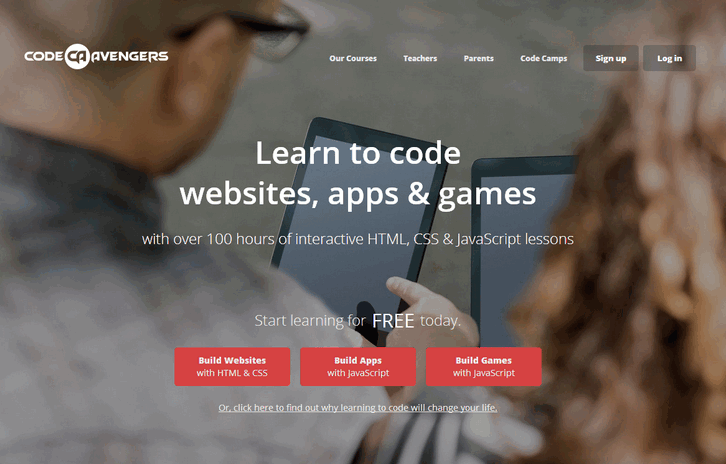 Learning to code is fun and easy with Code Avengers. Whether this is your first time coding, or you have tried it before – their courses guide you each step of the way. Scripted by educators, they offer practical coding skills to help you learn at your own pace. Their lessons are designed to be flexible so you can start and pause at anytime. You can start small, for just 30 minutes a day – or go for it and complete an entire course in a weekend. With every task you complete you are actually building working products — not just watching videos and reading theory. Join fellow Code Avengers to crack codes, fix bugs, share your creations with friends, and earn online badges to celebrate your achievements. I just tested code avengers seems like a pretty good structure of lessons, not overwhelming but at the same time teaching something… A friend of mine, Meir Bulua, always says that coding like HTML / CSS should be taught in school on par with math.